There are those who believe that in a marriage the only dress that counts is that of the bride. But to disprove this conviction, it is sufficient to think of a couple in which she wears a perfect dress, of high fashion, at the latest, while he presents himself with just enough clothes or, even, in clear visual contrast with aesthetic of the bride. The results would be disastrous and, moreover, they would remain fixed in all the wedding photos for life. 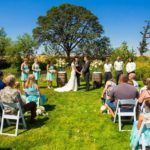 And therefore, with the same commitment with which one dedicates oneself to the choice of the bride’s dress, it is necessary to concentrate also in the choice of the groom suit. 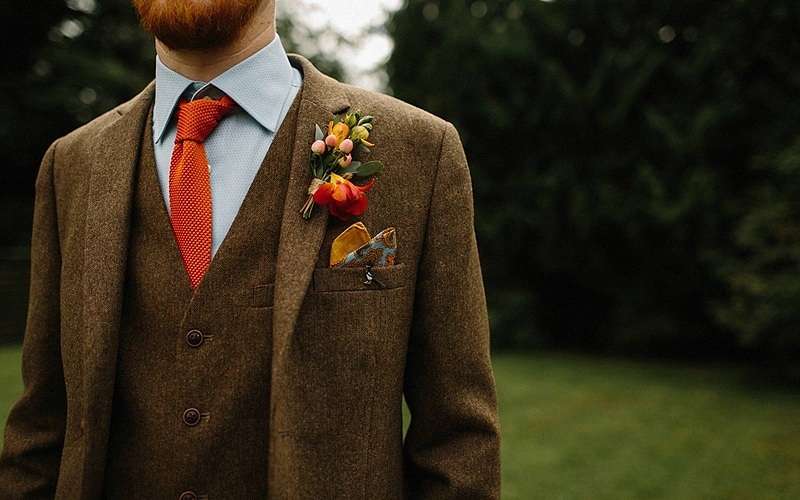 So here are five useful tips to successfully navigate the choice of the groom suit. 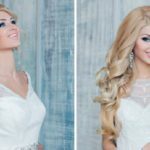 The bridegroom, for the custom of having to leave all the protagonist to the bride, must not seem a figure added to the wedding scene but must be the night of the princess with whom he is getting married. 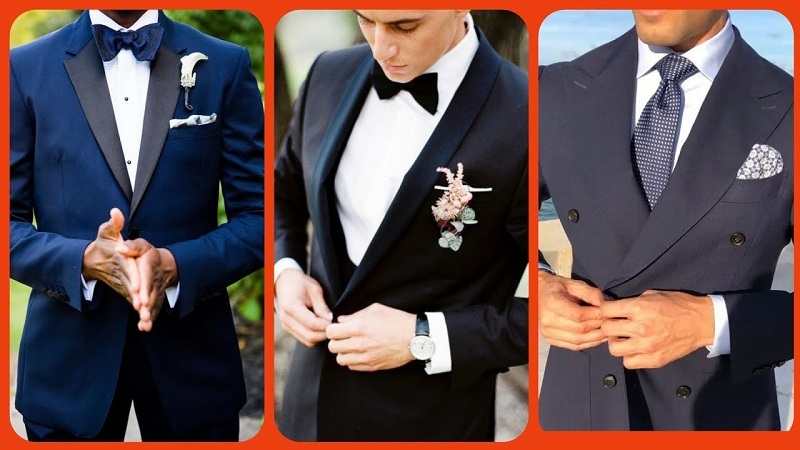 To find the perfect groom suit, you must, first of all, know which style best fits your personality and also adapt to the time and place where the ceremony will be held. In the day ceremony, which is celebrated in the church, with families of classical, traditional and conservative taste, the tight is the most popular model. Very important, in this case, is to take into account that if you choose the classic tight, direct relatives and close friends should accompany the groom also dressed in tight. Already, in April the climate is usually the most welcome. Moreover, the human organism comes from the winter season and waits for nothing more than enjoying the sunny spring temperatures. It must be cut to size, perfectly adapting to its silhouette: the jacket must fall perfectly on the shoulders, the shirt must be buttoned to the neck in a comfortable way and the same comfort must be had for the pants, both standing and sitting. The groom’s dress, again, it is important to respect the style of the bride’s dress, remembering that the design chosen by her cannot be known until the fateful wedding day: it is useful, here, to have a confidant on the subject, for not be in an exclusively formal model, while the bride has opted for a cool cut or a short-cut model. 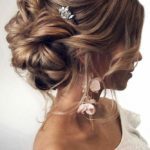 Let’s see what are the indications of some of the greatest stylists for the dress of the groom. 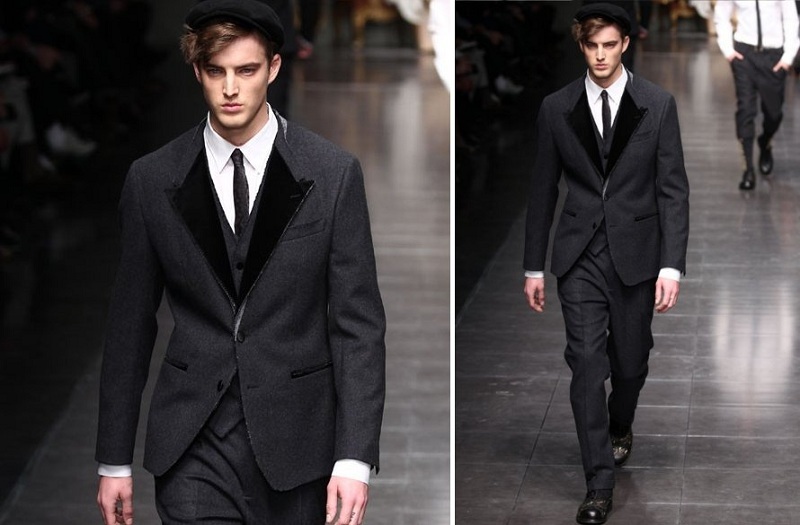 The line proposed by Armani is unmistakable: it focuses decidedly on black, with a jacket solution plus waistcoat that seems painted on the groom’s silhouette. The white tie on the white of the shirt provides an additional touch of elegance to the groom’s suit. 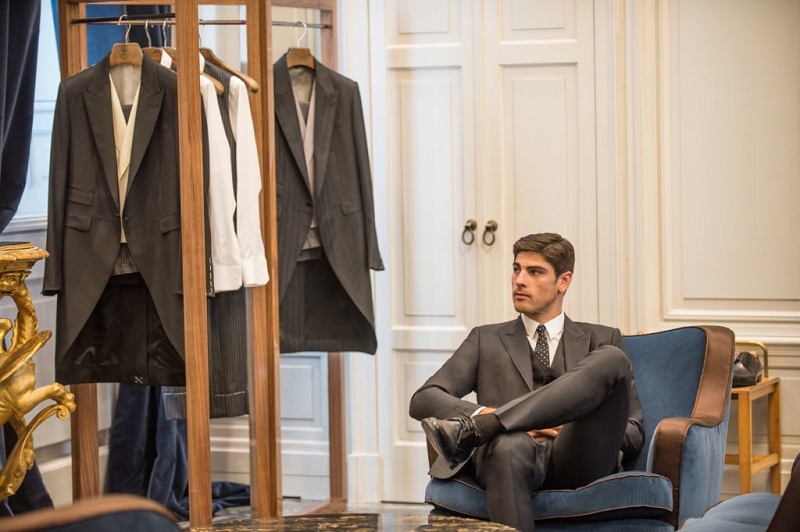 Dolce & Gabbana, on the other hand, propose both the light dress, in the shades of sand, and the dark one in blue, but in both cases, the shirt in a soft Celestino acts as a support for the cream tie. However, it is the shoes that give the eccentric touch to the groom’s suit. The groom of Carlo Pignatelli is the protagonist as the bride and the single-breasted dress with Korean collar in a shiny fabric is further enhanced by a very wide tie embellished with a jewel-tie knot. 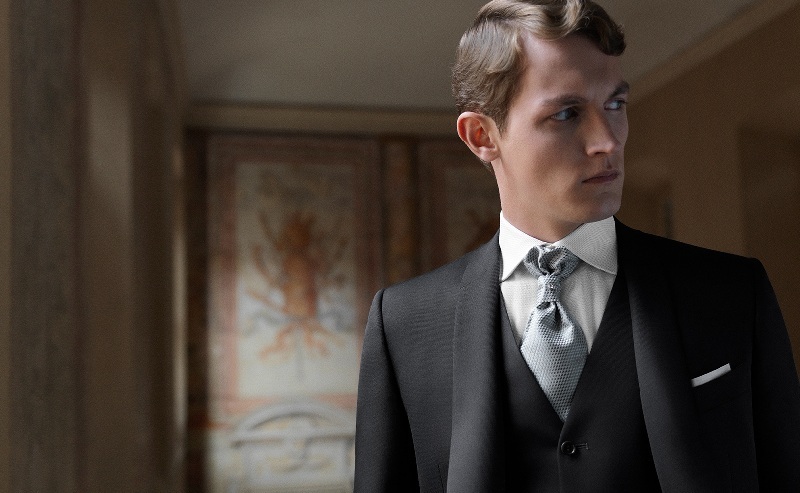 Canali, finally, focuses on the groom’s suit by proposing a gunmetal shade that is in contrast with the double-breasted waistcoat in pearly gray, leaving only one button engaged. There are solutions for all tastes and for all budgets. And of course, everyone must regulate himself according to his own vision, letting himself be advised but maintaining autonomy and coherence with what he feels best suited to his figure. 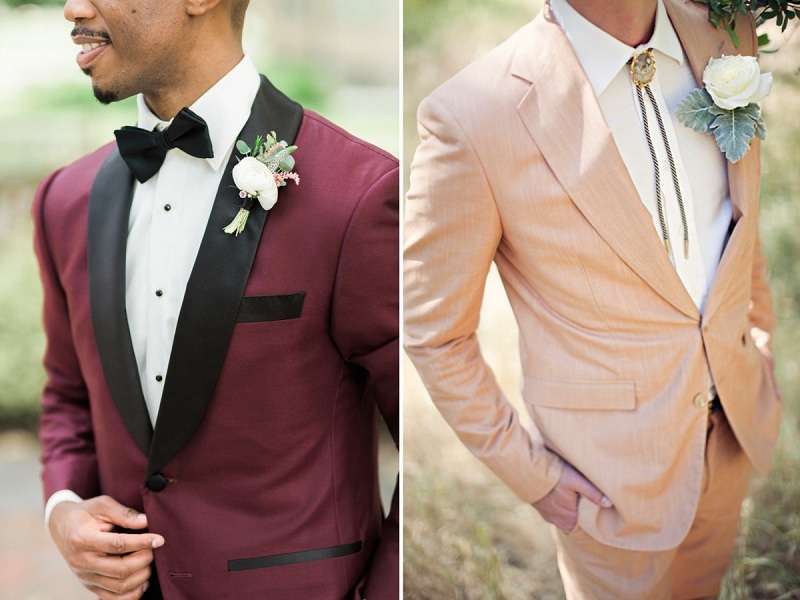 The important thing is that the groom’s suit is the right complement to the one chosen by the bride: otherwise, what pair would it be?